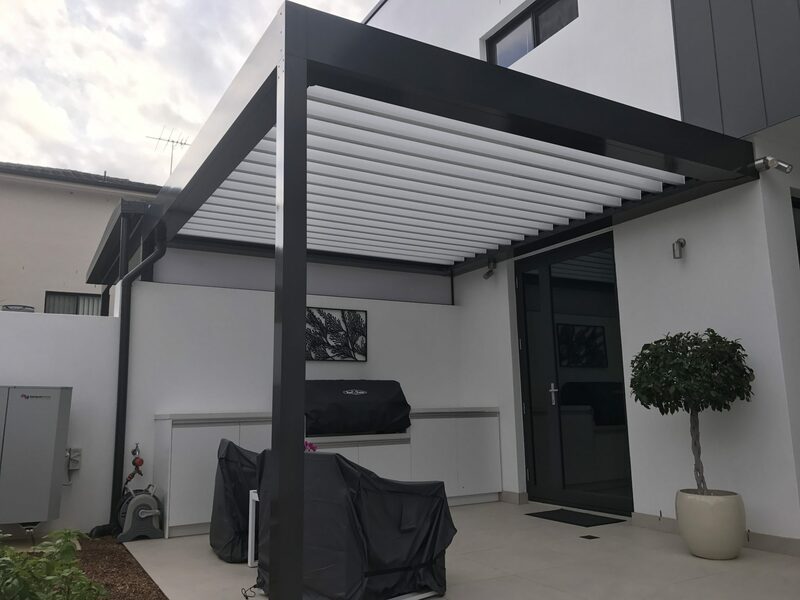 When it comes to entertaining in all climates and times of the day, the Narellan Home Improvement Centre opening roof pergola offers unprecedented versatility. 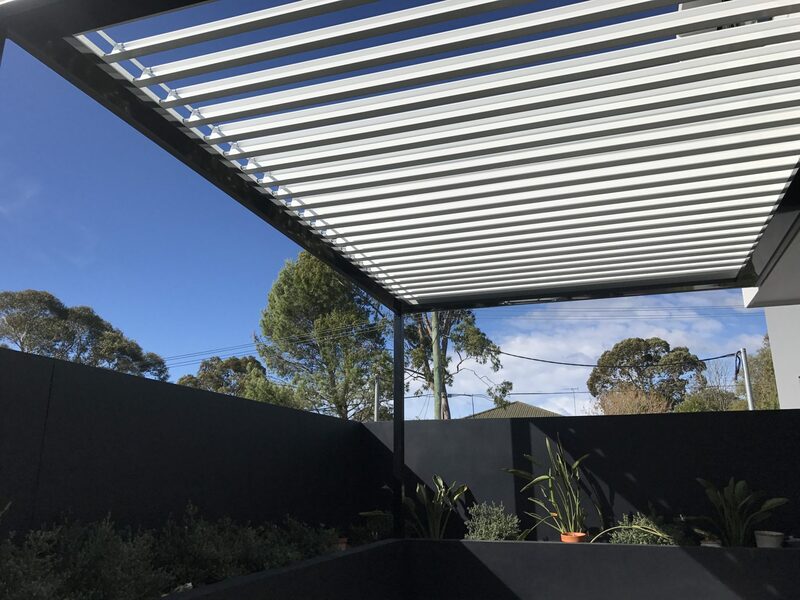 Fully remote-control operable, our opening roof pergolas feature premium aluminium blades that open and close all from the palm of your hand. Track the sun in the winter or follow the shade in the summer. Whatever you want, our opening roof pergola can do it. 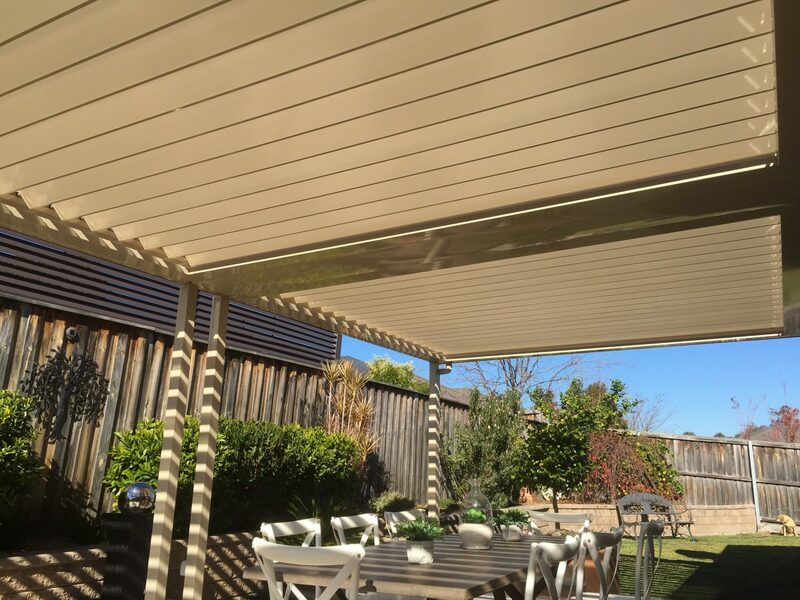 Ask us about the built-in rain sensor that closes the pergola louvres automatically when rain is detected. For those with less room or on a tighter budget, our slimline beams and posts are suitable for just about every area while still maintaining a classy finish. 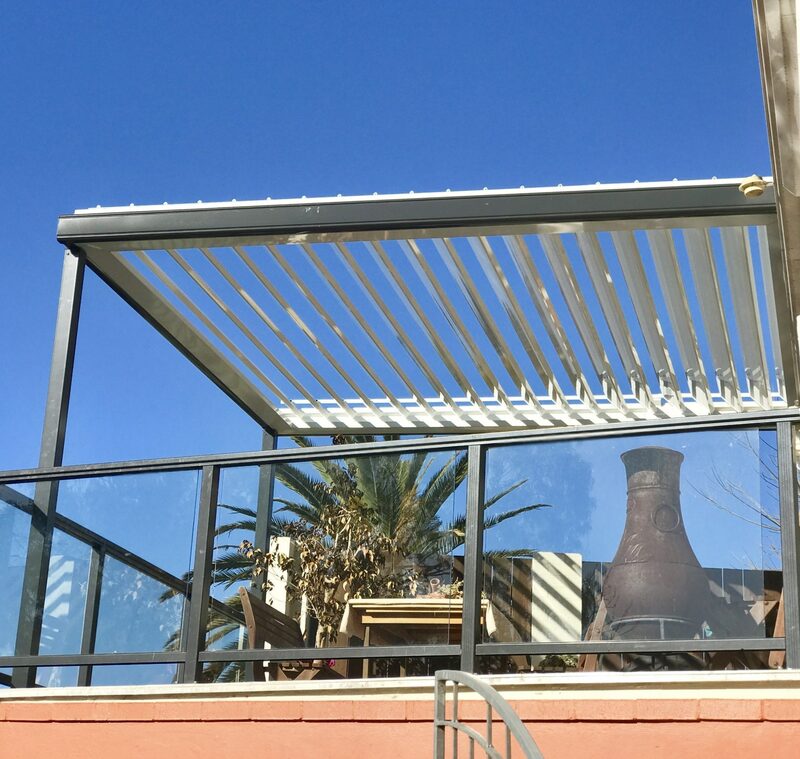 Our opening roof pergola louvres are capable of large spans so that you can maximise your space without the need for additional framing. Control the weather in the palm of your hand with our opening roof pergola remote control so that you can follow the sun throughout the day in the winter, or follow the shade in the summer. 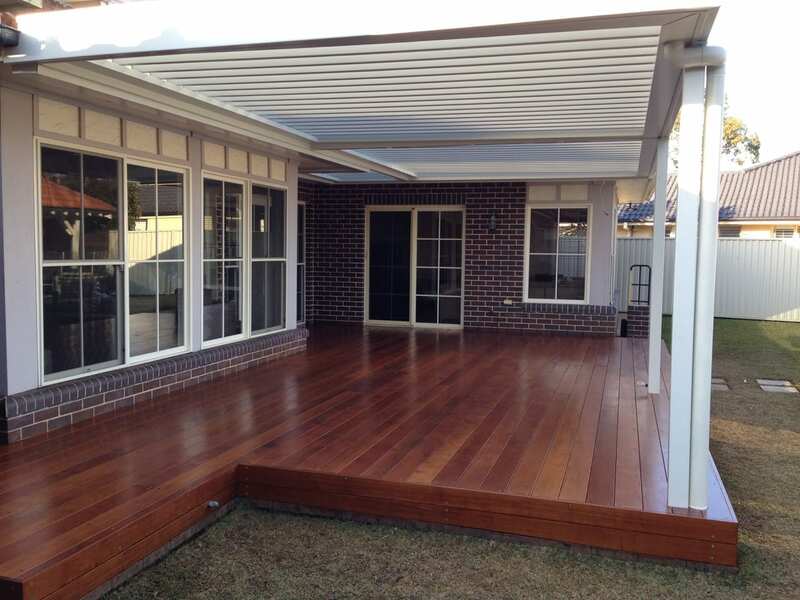 Opening roof pergolas are not just suited to smaller back yards. 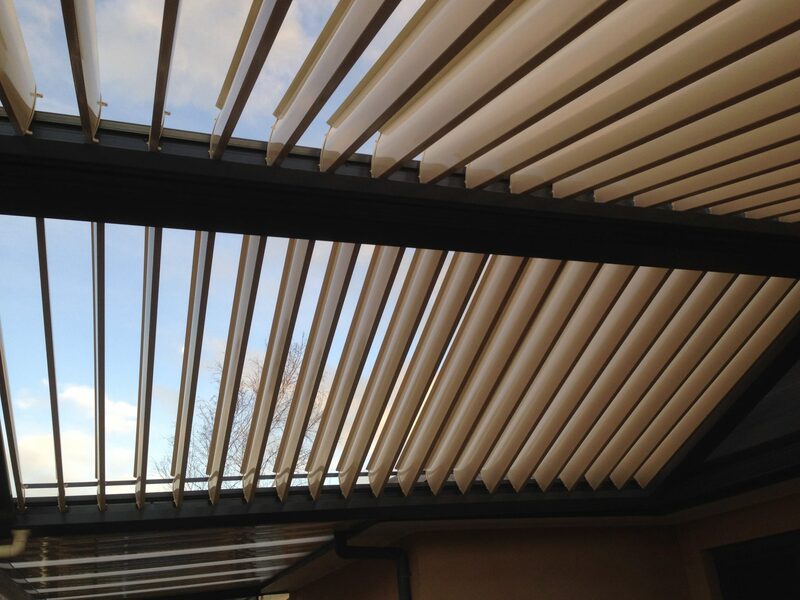 We can put together opening roof pergola designs in larger areas for dramatic architectural effect. Our opening roof pergolas are not only limited to flat setups. We also offer a gable (pitched) structure that is truly remarkable when you witness it in person.